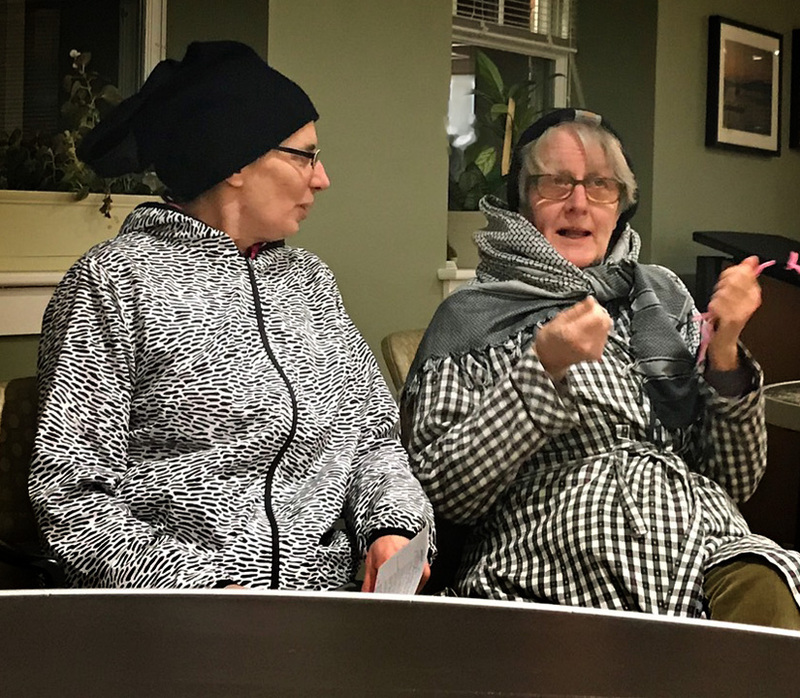 Sharon Garden Club January 2019 program “Wanted Dead: Not Alive!” presenters Carol Lundeen, left, and Brenda Minihan take the role of a pair of black-capped chickadees in a skit that tells the tale of how the introduction of beautiful exotic invasive plants by early American landscape designers has had terribly destructive results for native wildlife and our local, regional, and national natural resources. Ellen Schoenfeld-Beeks, not pictured, played the role of landscape designer “Fredericka” Law Olmstead in introducing the exotic plants to our country. Photo courtesy Marcia Podlisny. 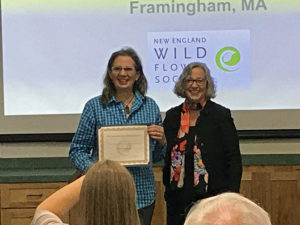 This entry was posted in Community Service, Design, Exotic invasive plants, Horticulture, Invasive plants, Landscape, MA, New England, Sharon Garden Club, Sharon MA and tagged club, design, exotic, garden, invasive, landscape, MA, Native, plants, Sharon on March 25, 2019 by admin. 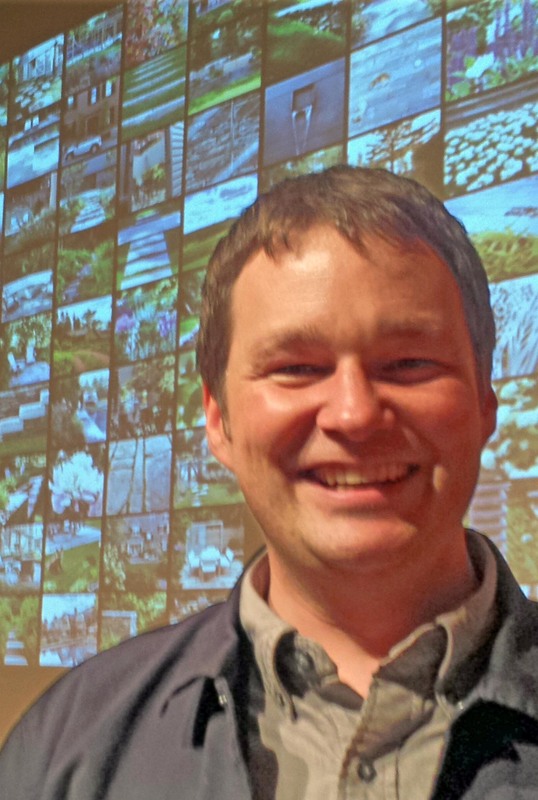 Bid On 2 Hours of Gardening with Me at the Easton Lions Club Auction – 86 minutes to go! 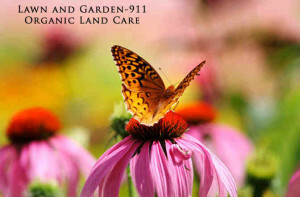 Want a more sustainable garden and support a robust local non-profit! Just 1 hour, 26 minutes until the bidding ends on two hours of side-by-side gardening with me, to benefit the Easton Lions Club. Learn more and BID NOW! BIDDING ENDS AT 4 P.M. TODAY! This entry was posted in Community Service, Easton Lions Club, Native Plants, Pollinator Gardens and tagged Auction, Charity, Easton, Garden-911, gardens, Lions, Native, plants, Pollinator on March 5, 2017 by admin. 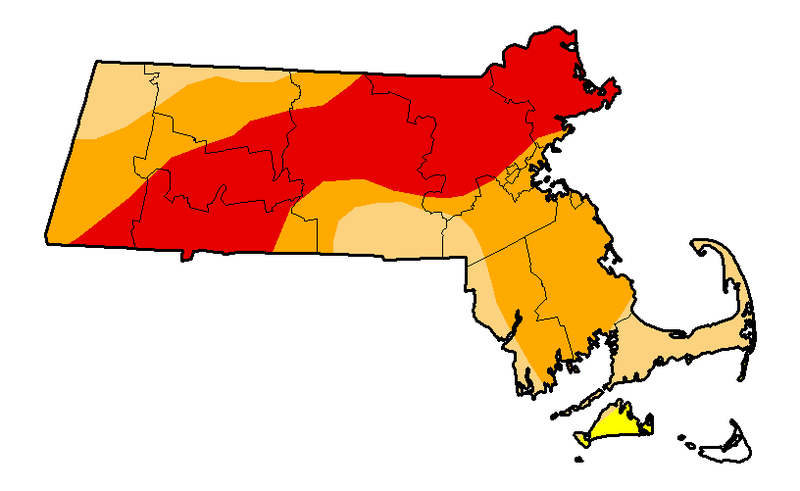 MA drought map updated December 13, 2016. The area in red, about one third of the state, is in an Extreme Drought condition. KEEP WATERING UNTIL THE GROUND FREEZES IN THE FALL/EARLY WINTER. Check with your city or town to see if even now, in late December, there’s a current watering ban. Especially with new plantings, and also with drought-stressed ones, you generally want to give them the equivalent of one inch of water per week all the way until the ground freezes. If time or water is limited, focus on watering your most valuable plants, such as trees and shrubs. IMPROVE YOUR SOIL. On your lawn for instance, just 1/4 inch of compost every fall makes a huge difference in the resilience of your turf plants. 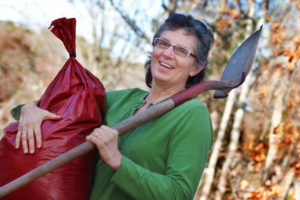 For your planting beds, pull back the mulch, spread 1/2 inch of compost or leaf mold, scratch it into the soil surface, and put the mulch back in place. This will increase the soil’s ability to hold moisture and make nutrients more available to the roots of your plants. Think in terms of feeding your soil (the soil food web), not feeding your plants. MULCH. It’s not to late to apply 2-3 inches of mulch to all areas of exposed soil. Do not let mulch come in contact with the trunks of your trees and shrubs, where it transitions into the root. This area is called the root flare and should never be covered. If you see a mulch volcano around the base of a tree, the mulch is suffocating the tree, which stresses it, makes it vulnerable to pests and pathogens, and puts the tree on a path of decline. About the best mulch of all is fallen leaves that you’ve chopped up with your lawn mower and spread on your beds. Speaking of chopped leaves, you can also pile them up, adding water to create a water film on most of the leaf surface area, and let them sit for a year or two. The result, called leaf mold, is another source of organic matter that will make your plants sing. PLANT NATIVES. Many people picture native plants as being weedy and leggy. 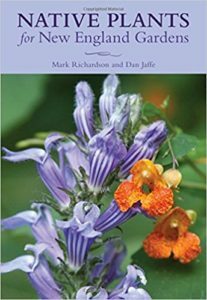 In fact, native plants are best adapted to not only survive, but thrive in the existing environmental conditions. Test your soil and know how much sun your planting site gets. Then, it’s easy to select plants that should do quite well with minimum inputs, once established. This entry was posted in Drought, Garden Seasons, Landscape Trees, Leaf mold and compost, Mulch, Organic lawn and land care and tagged compost, drought, drought-stress, leaf mold, mulch, mulch volcano, Native plants, organic matter, plants, shrubs, trees, watering, winter on December 21, 2016 by admin.